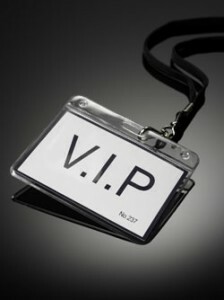 VIP Platinum Mentoring: A Complete Revamp! Well the Woman Incredible VIP Platinum Mentoring and Gold Membership has been ‘live’ for nearly 3 months now, and it’s been an action-packed time! Over the past 3 months I’ve written over 80 different workouts (and filmed them! ), created a handful of cool bonuses that weren’t even included in the promised content, put together over 84 each of nutrition/transformation tips and motivational tidbits including about 24 great recipes so far, shared days-worth of my personal food diary, answered a ton of great questions on the forum and had numerous emails from involved members and mentoring clients giving me feedback on how they’re loving the program and how I can make it even BETTER for you! You see what I mean by action packed … and as you’ll read below I’m on a real roll and really just starting to find my flow. But what it all comes down to, and why I’m writing this post today? making my Woman Incredible VIP program bigger, better and more tailored to YOU! I’m writing this post today partly to update you on how the VIP side of Woman Incredible is going, but also to share some exciting changes that are ahead based on a recent VIP Platinum survey. Additionally, I’d like to give you an overview of exactly what the full 12-month Platinum Mentoring program entails in terms of transformational and nutrition content. As a matter of fact this is the first time I’ve released a full overview, even for the ladies who are already on board. It was all still in the works until now, but my plans are finished and it’s only fair to share them with you! One of the things I had in mind since the launch was to get feedback from my Platinum Mentoring clients once the program was underway, and a couple of weeks ago I did just that. Now that I’ve had time to go through the survey results there are a few exciting things I’d like to share with you as well as some special changes in store for my Platinum ladies. If you’re not a Platinum Mentoring client or Gold Member currently, you may be aware that the doors are currently closed. But in late January I will be opening again for just a few days, and so if the idea of online coaching, training, nutrition education, motivation and support appeals to you (and you want a great deal on trialing the program! ), then you’ll definitely want to read what I have to say. Some of the things that the Platinum ladies are loving most at the moment include the regular workout videos, the bonuses that I upload 1-2 times each month (such as a supplement overview list, a basic ‘lean chicks’ shopping list, and case studies’ of other mentoring clients food diaries), the motivational tips, the ongoing education, and the access that they have to me through the forum and VIP emailing. Actually, you can see for yourself exactly what my Platinum ladies are saying about the mentoring, as I have some feedback testimonials on the right-hand side of this blog, about halfway down the page! The average amount of workouts being completed each week is 4, which is fantastic. I’m thrilled to know that what I’ve put together is making a difference in training habits all around Aus and even beyond! woman incredible VIP platinum mentoring – the revamp! What I’m hearing from my Platinum ladies is that no one seems to be skipping over any of the material, although they are not always getting to act on everything. I’ve also had feedback that the ideal frequency of the Platinum daily digests might be 5-6 times per week rather than 7; just to make sure no one gets stuck in email overwhelm. Of course the first 3 months of the Platinum Mentoring VIP program are already written and structured based on daily emails (comprising a daily workout video, a daily nutrition/transformational tip including recipes and meal plans, and a daily motivational tip), so that will stay as is. We will be switching to 6 digests per week, and I’ll structure it in such a way that no content is lost. It’s just about cutting back the emails a little. I’m going to test this over the next few months and then may reduce to 5 digests. I think this is actually a really nice way to go; kind of hit the ground running so to speak and then ease off the email communication but keep up the overall content. I’ll be creating a full and detailed list of recommended foods. Basically this is going to be The Woman Incredible Transformational Eating Plan and will tell you everything you need to know about what to eat or not eat. I’m going to re-jig the supplement overview sheet to highlight the ‘must have’ top 5 supplements, and why they’re considered so. As of Module 4: Insulin; The Fat Storage Hormone, along with some very intense and varied workouts, there will be regular ‘core’ and ‘remedial’ specific training options. And let me warn you – those first few core sessions are quite a blast! ‘A Fab New Extra To Your Daily Digests’ – as of Module 4 I am introducing a little section within your nutrition and transformation tip area, on all the days when I teach you something. The new section is called ‘Your Action Task For Today’ and will be a very quick tip or idea to put what you’ve just learned into practice. The idea is to make it even simpler for you to choose how to make the content in your Platinum Mentoring work best for you! Finally, I am going to release a full and detailed overview of the entire 12-month Platinum Mentoring transformation and nutrition tools. This blog post, however, is long enough for today and so I’ll publish that in the next day or two!